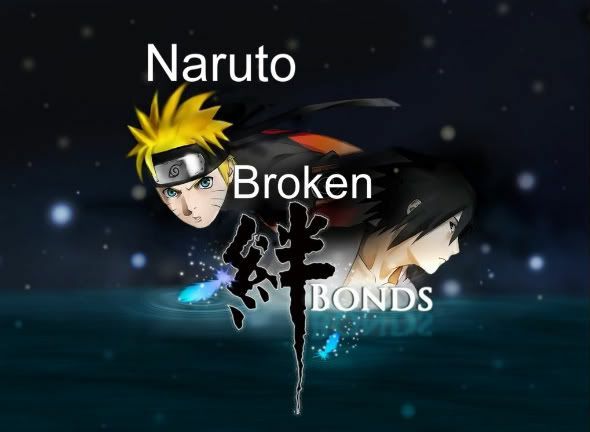 New site called Naruto Broken Bonds. It a non- canon site, We need new members to be kages and other high rank ninjas. Currently Konoha and Iwagakure are locked so no new members for those villages for the time being but the will be reopened soon. Sunagakure, Kumogakure and Kirigakure are open so feel free to join one of those villages. We Also still have many bijuu's available right now 9 tailed's jinchurki has died leaving the 9 tailed free to roam. Still needs to be captured. The Akatsuki is also open they still have a few spots left so hurry! We are currently working on the plot for the site for now all you know is that it will involve a war between the villages. The chunin exams will start as soon as we get a few more genins. Still looking for jounin teachers. We currently still have the Tsuchikage position still open. Konoha is closed for now but will still take genins. Leaving all the other villages available for jounin, Anbu etc. Feel free to spar with friends Join the soon to be Great Ninja tournament and Have Fun!